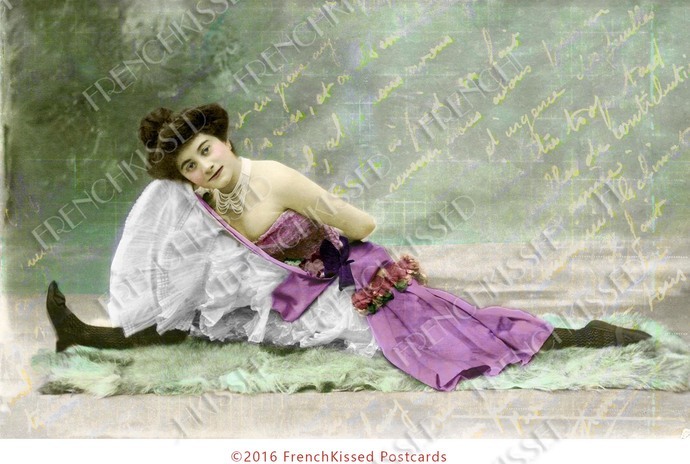 This digital download is an original collage I created from a couple of different antique French postcards. I call it Split Decision. Front and center is Mademoiselle Girard. Other than the fact that she was a Belle Epoque stage star who could do the splits, I'm sorry to say I don't have any other biographical information about her. The French script in the background? Why that's a Dear Jaques letter. Yes, she made up her mind and it was a split decision: she was outta there, headed for the Big Time!